Knowing what has come before is both essential and inconsequential. Time leaves everything behind in its relentless pursuit of the future. The past is gone; it does not need to be remembered. But for the strange homo sapiens that inhabit this planet, what has come before is of vital importance. The layers of history upon which humanity stands must be unearthed, dug up and revisited. Unlike time, humanity cannot leave the past behind. We try to understand it, to learn from it. Though whether we do, is another question entirely. George Bernard Shaw agreed with Hegel that “the only thing we learn from history is that we learn nothing from history”. Perhaps what we need, is a new approach. In Vox Pop, Christopher Rollen offers just that. Experimenting with sound and video he explores alternative ways of presenting personal and collective histories. Deriving its title from the Latin phrase (vox populi) for ‘voice of the people’ is fitting, for Doegen Revisited is exactly that. An arresting piece that demands attention, it has an intriguing beginning that stretches back more than a century. In 1915, Dr Wilhelm Doegen established the Royal Prussian Phonographic Commission. Tasked with collecting various languages, dialects and music for academic study Dr Doegen went on to visit seventy POW camps during World War One. Prisoners were asked to recite the parable of The Prodigal Son in their own language and dialect for comparative purposes. Rollen has used a collection of Dr Doegen’s work to produce an audio-visual archive of sixty-six etchings and recordings. Expanding on the originals, he has made new recordings of German-based British expatriates, both civilians and serving military personnel, reciting the same parable and has visually mapped out the origins of all participants. The contrasting parallels are resounding and steeped with meaning. Yet it is the varying voices of the past that are often most moving. Some are confident, some hesitant. There are those that even have an entrancing cadence and melody to their recitals. As the listener progresses through the archive they are taken on a tour of the British Isles, from north to south, and then to Ireland. As they journey, the familiarity of some, so near and yet so far away, can be startling. 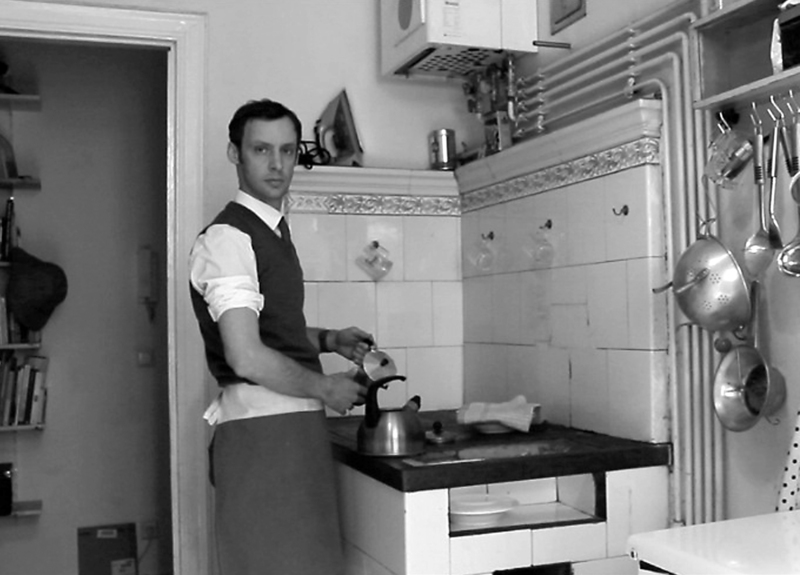 Recreating the past once again, Berliner Küche sees Rollen meticulously imitate a kitchen scene from a forgotten postcard. Whilst discord unsettles the captivating sounds of the Middle East in Toprak, which uses a damaged 1960’s pop record found in Northern Cyprus to convey the country’s turbulent history. Rollen continues to utilise music in Semit R Nignahc and Come give me your hand. 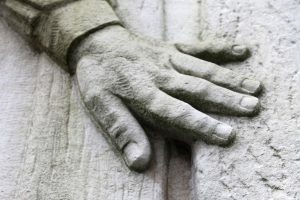 Whereas the first hints at a reversal of progress by phonetically transcribing Bob Dylan’s ‘The Times They Are a-Changing’ played backwards, the second warps its meaning by overlapping a karaoke re-translation of the Beatles’ hit ‘I Want to Hold Your Hand’ with imagery of the Soviet War Memorial frieze in Berlin. Filmed on the eve of the Scottish Independence referendum, The Riddings shows two acres of Scottish land that has been ‘annexed’ by the redirection of the river Liddell in 1861. In the wake of the recent EU referendum this isolated and debatable land has gained resonance once more. The history that weighs down each piece is palpable, yet Rollen deftly amalgamates his projects to create a unique experience. As time and space converge and the past encroaches upon the present, his work offers a fresh approach to exploring the past. Christopher Rollen, Vox Pop continues at Vane, Newcastle upon Tyne, until 3 September 2016.